Jason Andrews co-founded Andrews Space, Inc., now Spaceflight Systems, in July of 1999 to be a catalyst in the commercialization, exploration and development of space. Andrews Space was a best value integrator of aerospace systems and developer of advanced spacecraft products and components. In 2010, Mr. Andrews founded Spaceflight Services, Inc. to be a provider of routine, low-cost access to space for small and secondary payloads. Spaceflight Services currently offers small spacecraft and secondary payload flight opportunities to Low Earth, Geosynchronous and Low Lunar Orbit. Prior to co-founding Andrews Space and Spaceflight Services, Mr. Andrews worked at Kistler Aerospace Corporation (1995 to 1998) where he held a range of positions including K-1 Vehicle Two Project Manager and Design Integration Manager. Mr. Andrews holds a BS degree in Aerospace Engineering from the University of Washington and was a "40 Under 40" honoree by the Puget Sound Business journal in 2006. 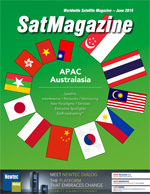 SatMagazine (SM): Mr. Andrews, Spaceflight has a unique business model around launch services; can you describe how it works? Spaceflight works with nearly every launch vehicle provider around the globe to schedule and coordinate launches for payloads of almost any size and traveling to numerous orbit destinations. We’re rocket agnostic and focused on matching the launch needs of our customers to the available capacity and schedule to making getting to space easy. For the first time in history, accessing space is being offered as a full-service, cost-effective model. We’re proud to be leading the charge in reinventing the business of accessing space, offering commercial and government entities the most access to launch opportunities and range of services to ensure their launch is executed on time and on budget. SM: Was this model born out of a demand in the marketplace? Yes, we recognized that the commercial smallsat industry was growing rapidly, but it was extremely difficult for companies to launch their satellites. The biggest hindrance to accessing space is cost. With the traditional model, a company needs to fund the satellite, purchase a rocket and coordinate the launch. This is capital intensive and a tedious process that many companies cannot commit to or afford. Not only that, expertise in accessing space is required to enjoy success. By streamlining and simplifying the process for developing, launching and operating small satellites, we serve as a one-stop shop for small-satellite products and services to make access to space more integrated, cost-effective and efficient. You don’t have to buy a rocket or be a launch expert. That’s our job. Through the rideshare model we’ve developed, Spaceflight has helped launch over 80 satellites for our customers and has more than 150 scheduled to launch in the coming years. 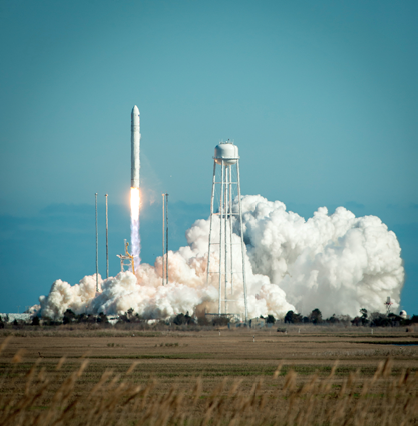 An Antares launch that led to the deployment of Spaceflight Launch's customers from the International Space Station. SM: Do you think the launch industry will catch up to the smallsat industry in terms of advancement and development? We believe the launch market is ripe for innovation and we’re taking the lead to push the boundaries of what’s currently possible. For example, we started out coordinating payload rideshare opportunities by capitalizing on available capacity on existing launches around the world. Through this work we saw the increasing need for smallsat rideshare opportunities so we recently purchased an entire SpaceX Falcon 9 rocket in order to expand our services. This has allowed us to initiate the first-ever dedicated rideshare launch option, offering lead customers increased control over the schedule and all customers more routine access at a reasonable cost. SM: How do you see Spaceflight’s role in the launch market evolving? As mentioned earlier, we’ve purchased our own rocket to launch the first-ever dedicated rideshare mission, so in essence, we’ve become the leading commercial spaceline. Consider an airline. The company purchases the airplane, schedules and coordinates with airports to get customers from one place to another and then sells space aboard that aircraft. 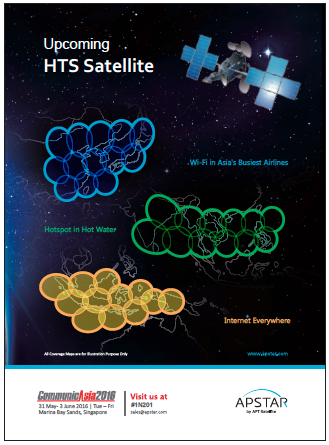 We’re applying this model to space, eliminating costly hurdles for smallsat operators. We also want to see more transparency in the industry, so we’re leading by example. We’re upfront about what it takes to operate rideshare missions, publishing pricing tables and launch schedules so there are no surprises – it’s as easy as reading a train schedule. The set price customers see includes all flight hardware support equipment to successfully integrate, launch, and deploy their spacecraft on orbit. With regard to our dedicated rideshare missions, we’re taking the complexity out of the equation by offering full-service mission managers who guide you through the launch campaign, step by step. Whether it’s your first mission to the moon, or a routine LEO launch, we know what needs to happen and will help you get there. SM: What has the reception been so far for dedicated rideshare missions? We’ve received enthusiastic feedback for this launch option and already have more than 20 payloads confirmed for our Falcon 9 rocket in 2017. Customers frequently tell us that our dedicated rideshare option is critical to ensuring cost-effective access to space and based on the positive reception we plan to coordinate more dedicated rideshare missions in the future. SM: Are there any other misconceptions about the launch industry that people should be aware of? This is not a misconception, but what is often under-appreciated is the tremendous opportunity in commercial space. Just as the car started as an innovative mode of transportation, it also led to a great deal of development. Roads, the assembly line, stoplights, faster engines, fuel-efficient cars, airbags and more came from this one industry. The space industry has the same potential. We are discovering new ways to understand our planet through new innovations including the potential mining of resources on asteroids, accessing valuable data with major humanitarian and economic implications through near real-time satellite imaging, and new missions to other planets. The commercial space industry is still in its infancy and the potential for innovation and opportunity is unprecedented. It’s an exciting time to be a part of this new space economy and we aim to continue driving innovation and increased access for all.